ISN World Congress of Nephrology will be live streaming “Late Breaking Clinical Trials” from WCN 2019. The purpose of the webcast is to give the worldwide nephrology community in-depth understanding of three major nephrology studies, including the CREDENCE study for which George Clinical plays a critical role. The session will be streamed live from WCN 2019 at 8:30AM on April 15, 2019 Melbourne time (or 5:30PM CDT, Sunday, April 14, 2019 in the USA) and is available at no cost to those who register online. 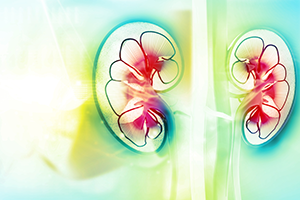 Canagliflozin and Renal Endpoints in Diabetes with Established Nephropathy Clinical Evaluation, the formal name of the CREDENCE Clinical Trial, is a comparative study of the efficacy and safety of canagliflozin versus placebo. It has been concluded on the basis of a planned interim data analysis. CREDENCE is a randomized, double-blind, placebo controlled study involving multiple clinical centers enrolling approximately 4,400 patients with type 2 diabetes (T2D) with estimated glomerular filtration rate (eFGR) ≥ 30 to < 90 mL/min/1.73 m2, and albuminuria.